Rabbi Michael Ross is both the new Rabbi of Temple Beth Shalom as well as the Senior Jewish Educator for Hillel at Kent State University. This shared position is unique and so is Rabbi Ross’ approach to the pulpit, Jewish education, and Jewish spirituality. His goal is to make Judaism relevant, meaningful and alive to folks today, and to meet people exactly where they are as they build a vibrant community together. Rabbi Ross comes to TBS from Greensboro, NC, where he was Director of Lifelong Learning for Beth David Synagogue for three years. He created innovative programs such as Shabbat Club, a weekly Jewish Meditation Circle, a weekly interfaith Torah study, monthly Shabbat Chanting Circle, and an annual “Intro to Judaism” course. Prior to that, Rabbi Ross was the Rabbi Educator for Hayom, in the Philadelphia suburbs, where he led Torah study, meditation classes, taught B’nai Mitzvah students, and worked with interfaith wedding couples. He also worked as an education director, and adjunct professor. Rabbi Ross was ordained from the Reconstructionist Rabbinical College in 2010, and he has a Masters in Education from the University of Judaism in Los Angeles. Prior to his rabbinic studies, Rabbi Ross worked as one of the managing editors at the Oakland Tribune. 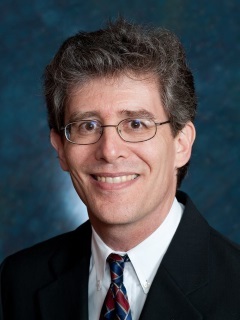 Rabbi Ross will lead Shabbat services at TBS the second and fourth Fridays of the month and will hold Torah Study the second Saturday morning of the month. He will gather with parents and members while the religious school meets for their Thursday Hebrew School and Sunday Religious School classes. He plans to expand formal and informal adult education programs as well as opportunities for family learning and family celebrations. His goal is to meet every TBS member for coffee or lunch during the first year. Cantorial Soloist Robin Selinger grew up in Arlington, Texas, and earned both bachelors and Ph.D. degrees in physics at Harvard University. She moved to Hudson in 2005 to join the faculty in the Liquid Crystal Institute at Kent State University, where she holds the rank of full professor. She is an active member of the Hava Nashira songleaders’ community and manages Jewish music websites Totshabbat.com and Hotshabbat.com. Besides songleading at Shabbat and holiday services, she also teaches music on Sunday mornings at religious school and enjoys welcoming babies, toddlers and young kids to our monthly Tot Shabbat services. Congregants who sing or play musical instruments are welcome to contact Robin about opportunities to participate in special music events…. robinselinger@gmail.com. Robin has been a member of TBS since 2005 and joined the staff in 2006. She is married to Jonathan Selinger and they have two sons, Joseph and David. Rabbi Rachel Brown, new Educational Director of Temple Beth Shalom, is an adventurer whose route to becoming a rabbi has included attaining a degree in architecture from The Bernard Spitzer School of Architecture at City College of New York, apprenticing as a carpenter and woodworker, and traveling the Pacific Northwest by bicycle. She also holds a motorcycle driver’s license and a private pilot’s license, and is a certified SCUBA diver. The driving force of her rabbinate is makmg Jewish tradition accessible. Rabbi Brown believes that Judaism gives all who have access to it a way to connect to each other and to God, and a language with which to express the inexpressible. She embraces a life of continuing Jewish study and teaching others. Her visionary approach to Jewish life and Jewish education focuses on creating learning and study opportunities for students of all ages across the lifecycle. Rabbi Brown is especially gifted in reinterpreting traditional customs, texts, and liturgy in order to make them relevant to a contemporary mindset. 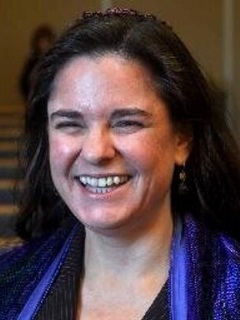 Before joining TBS she served for ten years as Rabbi and Education Director of Congregation B’nai Jacob, in Phoenixville, PA, and for one year as Rabbi-in-Residence at Congregation Beth Israel in Roanoke, Va. Most recently, Rabbi Brown founded a new pluralistic Jewish girls’ empowerment residential summer camp: Camp Timbrel. In summer 2019 she will welcome her second cohort of campers. Rabbi Brown was ordained as a Rabbi by the Ziegler School of Rabbinic Studies at the American Jewish University in Los Angeles. Rabbi Ross, Rabbi Brown and their son Gabriel are excited to join the Temple Beth Shalom family. Rabbi Sheldon Ezring served as Rabbi of Temple Beth Shalom from 2009 to 2014. He has now retired and is serving as Rabbi Emeritus. Before coming to Temple Beth Shalom, Rabbi Ezring was Senior Rabbi of Temple Concord in Syracuse, New York, for twenty years. Temple Concord is one of the oldest in the United States, and has around 700 families. 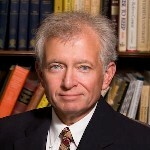 He graduated from Hebrew Union College in Cincinnati in 1974, has also received several graduate degrees, and was recently trained in mediation. Rabbi Ezring has two grown children, Jennifer and Adam, both of whom live in Washington, D.C. He comes from a family of rabbis–his father was a cantor who became a rabbi, and two of his brothers are rabbis.